Adding a CCTV (closed circuit television) system increases the security of the building and surrounding area. Simply put, thieves prefer not to be seen and they know that well installed, fully functioning CCTV systems see everything. This is true for exterior security and protecting sensitive areas inside the building from employee theft. CCTV systems that are effective include components that work seamlessly together, from the cameras to the wiring to the control system to the power back-up. Connectors and power supplies have to match, and standing on a ladder is not the time to find out that they don’t! We carry the complete line of CCTV products from over 40 of the top manufacturers, including companies under the ASSA ABLOY family. These companies are known for their dedication to producing components that work together without modifications. 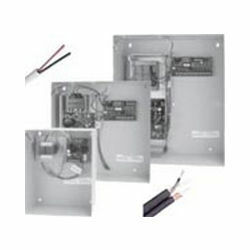 We carry all the industry-leading brands including BES Manufacturing, Connectors Plus, Freeform R&D, Life Safety Power, Securitron, Speco Technologies and Universal Power Group. In all, we have CCTV components and systems from over 40 of the top manufacturers in this segment of the security industry. We are certain to carry what you need and are searching for. 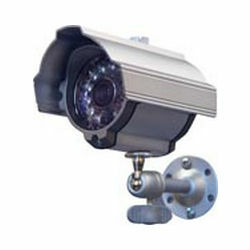 We have a wide variety of CCTV camera types, including those designed for internal and external use. We carry dome, turret and bullet styles, cameras for wired and wireless installation, and cameras with full color and black and white. Installing and connecting those cameras is easier with the right tools. We have specialty drill bits and wire installation tools. Servicing and upgrading systems goes smoother with the right tools on the job. Get complete CCTV systems here and take security to the next level. We have all the necessary components to install or upgrade CCTV anywhere.